Platinum Contract Cleaners offer a comprehensive range of cleaning solutions home or business. Based in Porth, South Wales; we carry out specialist cleaning and hygiene services to all types of properties including domestic and residential property, clubs, colleges, offices and pubs. As well as our general cleaning packages, we also offer a range of other services which include after builder cleans, end of tenancy cleans, holiday lets, one-off hygienic deep cleans, Ironing services and interior window cleaning. We pride ourselves in giving an unrivalled service to all clients irrespective of the size of a contract. 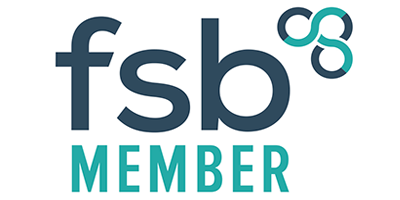 Our fully certified team of employees hold various qualifications which include BICs, NVQ and UKCPAS and are all conversant with all aspects of current Health and Safety requirements. Platinum Contract Cleaners have a hands-on management team that provides you with a high level of customer support and treat each client with the utmost respect and courtesy. We have comprehensive insurances for that extra added peace of mind, with employers liability insurance of £10 million and public liability insurance of £5 million. If you would like any more information about our range of cleaning services, please do not hesitate to contact us on 07855 244 450, and one of our helpful members of staff will answer any questions you may have and provide honest and impartial advice. For other methods of communication, please use our ‘Contact Us’ page. Platinum Contract Cleaners carry out there cleaning services on any property for homeowners, retailers, landlords and industrial clients. All our work is carried out by our professional highly skilled and qualified team. Below are a few of the services we can provide for you. We know the importance of ensuring that the presentation of your premises is kept to a high standard of cleanliness and hygiene for your staff, visitors and customers. We make sure your reception area, offices, stairwells, corridors, kitchen, canteen and washroom facilities are always left immaculately clean. We offer a tailor-made service for all of your cleaning requirements, geared towards the specific needs of your business and its premises. Our home stress-free cleaning service covers every type of domestic property, from a small terrace to a country house and everything in between.We will clean every room in your house, or just those that you designate, You're in control. You can rota rooms or add jobs as you need, e.g. internal windows – monthly, carpets cleaned – 3 monthly. Whatever suits your lifestyle or your budget, Platinum Contract Cleaners will keep everything squeaky clean. With the increase in shared residential blocks and office buildings, the need to provide clean and safe communal areas is a high priority to landlords, associations and property managers. We provide a comprehensive and reliable communal cleaning service tailor-made to meet your needs. Our experienced and motivated team of cleaners will leave a fresh, hygienic environment for you and your residents. Move out Platinum Contract Cleaners can clean up after you and have your old property spotless and already for the new occupier's arrival. Moving in and the property hasn’t been left clean and tidy, we will get it squeaky-clean and ready for you to move in. Have your tenants recently vacated your flat or house and left it dirty, grimy and in need of a thorough clean? Or you're a tenant worried about getting your deposit back. The panics over give Platinum Contract Cleaners a call, and we will come in, tidy up and get everything spick and span for the new tenant. As soon as external windows have been cleaned stains, smears and fingerprints on internal windows become more noticeable. Which then leads to these windows needing a good cleaning. Platinum Contract Cleaners provide an excellent internal window cleaning service to both commercial and residential buildings. We can get your holiday rental property spotlessly clean and ready for paying guests. We also offer a laundry service and can supply welcome packs if required. Additionally, We also provide a deep cleaning service at the beginning of the holiday season to ensure the let is meticulously cleaned and aired in readiness for the first guest's arrival. Platinum Contract Cleaners have been servicing holiday lets for numerous years around the Vale of Glamorgan. Had contractors in, and they've left your premise in a right mess? Got family coming to visit? Holding a party or just had one? Can’t be bothered to do the annual Spring clean? We offer one-off thorough cleans at short notice to make certain everything is or restored, fresh as a daisy and squeaky clean. Let Platinum Contract Cleaners do all the dirty work! Give us a call for first-class cleaning at competitive prices. Searching for an easier way to stay on top of your ironing? Platinum Contract Cleaners provide a professional and high-quality hand ironing services. We iron everything from bedsheets, towels, shirts, trousers to underwear and socks. We provide a door to door collection and delivery service, with no designated day for specific areas. Instead, we aim to collect and deliver at a time that suits you. Give us a call; ironing has just gotten a lot easier. Some of The Area's We Cover. 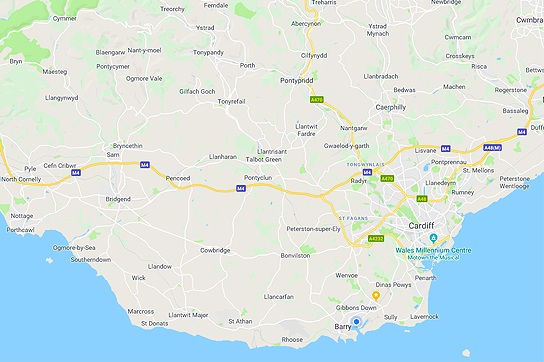 We operate from our base in Porth in the Rhondda and are happy to take on work in its surrounding areas including Cardiff, Barry and The Vale of Glamorgan. So, if you need a professional cleaning and ironing service, please contact us, we are here to lend a hand.